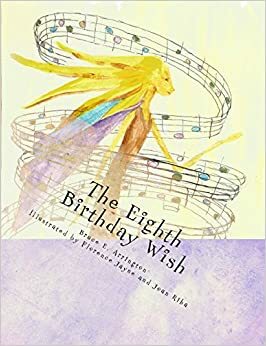 The Eighth Birthday Wish by Bruce E. Arrington is a children’s fantasy about a little girl named Sophia who seeks a magical birthday gift from the residents of the Great Rock Faery cave. Young Sophia is surrounded by siblings that sing well, but she cannot carry a tune. Determined to become the finest songstress, she goes on a journey with her parents to the Great Rock Faery cave. Only she can go inside and pick the singing voice of her dreams from one of the faerie. Problem is that none of them have a suitable voice. Sophia discovers a faerie in a most unusual situation. The little girl then learns the rewards of unselfishness, which is the best birthday gift of all. The Eighth Birthday Wish is a story told in rhyme, and lavishly illustrated with Sophia’s adventures. Lita could not wait to see how the little girl’s dilemma in the Great Rock Faery cave turned out. The simple story delivered a satisfying conclusion. Fantasy fans of all ages would enjoy this gem of a tale. Lita shall look around her garden and see if it has an entrance to the charming Great Rock Faery cave. This entry was posted in Reviews and tagged Amazon, books, Bruce E. Arrington, Burke, children's book, Ebook, entertainment, faerie, fantasy, Great Rock Faery, Indie, lita, Lita Burke, literature, rich fantasy, The Eighth Birthday Wish, writing on July 6, 2015 by Lita Burke.